Get ready! We’re about to take you on a little journey through today’s latest marketing updates, which will carry you into 2013 and beyond. Before getting started, let’s make sure you have your 2013 marketing goals in order. What are you hoping to achieve this coming year? Keep in mind, your goals should be Specific, Measurable, Attainable, Relevant, and Time-bound (AKA, S.M.A.R.T.). If you need help getting started with your 2013 goals, download this planning template. Next, we’ll show you a few things to look out for in 2013 that may not have been a priority in 2012. As the marketing world shifts, so must you as a marketer. Twitter now allows advertisers to target negative keywords for Promoted Tweets. This means, if an advertiser wanted to buy the term “tomatoes,” but didn’t want to receive results about the film review aggregator and forum, Rotten Tomatoes, the advertiser could choose “rotten” as a negative keyword to avoid such results. This will help advertisers drill down on the exact target audience they’re hoping to reach. In addition to negative keywords, Twitter is now leveraging newsjacking on their advertising platform. Promoted Tweets can now automatically match up with trending topics. The example Mashable gave was, "if a celebrity’s pregnancy news starts trending, and you’re a retailer of baby clothing, your Promoted Tweet may be entered into the auction for that trending search." Suddenly, advertising on Twitter is getting much more relevant, personal, and dynamic. If you’re interested in reading more about Twitter’s latest advertising updates, you can read the full story here. Just like Twitter, Facebook has been making some changes to its advertising tool too. There’s now a much simpler way for small businesses to generate more page Likes (yay!). The tool is aimed at businesses with fewer than 10,000 page Likes, since this is where the majority of SMBs tend to fall. Essentially what you see as a SMB inside the ad unit is a simpler flow, much like when you promote a post currently. As Marketing Land puts it, you’ll see “a subtle but key element of the pre-populated UI is the estimated number of Likes that advertisers will get in exchange for their budgets.” Basically, the more you spend, the more Likes you get. This new ad update applies to both PC and mobile versions of the Facebook newsfeed. Interested in learning more about this new update for SMBs? Read the full story here. The holidays are approaching so quickly! What’s a marketer to do? Consumers are searching left and right for last minute deals online, but SEO is an investment over time, which means you won’t see results immediately. I assure you, there is a solution. To add a little spice to the SERPs and earn some quick wins for your marketing team, try pay-per-click (PPC) ads. You’ll rank, users will click, and everyone will be happy. PPC will also help you with your organic search terms in the long-run because you can then identify which keywords were searched for most by the people who clicked on your ads. That sounds like another big win if you ask me! To learn exactly how to run a PPC campaign to give your company a boost this holiday season, you can read the full article here. What are your marketing priorities for 2013? In which programs do you plan to increase your spend? According to MarketingProfs, “55.5% of marketing executives say they plan to increase spending on email campaigns in 2013, 51.8% plan to boost spend on social media, and 42.8% plan to up their spend on mobile marketing.” Trailing not far behind is SEO/PPC at 39.8 percent, and lower down on the list includes advertising, tradeshows, and direct mail. So what does this mean for marketers? Well, essentially, Inbound for the win! If you’re already leveraging inbound marketing, you’re way ahead of the game -- congratulations! If you’re not already leveraging inbound marketing, you might want to get started. Let’s call it your marketing resolution for 2013. To see what other marketers are planning for 2013, check out the full story here. It’s obvious that marketers are finding great value from email marketing, especially based on the 2013 budget projections above. Another piece we’ll be seeing more frequently in 2013 is visual content. So what happens when you combine the two? You get 35 free pre-designed email templates to help you craft emails that nail both form and function. These email templates can be installed right into your current HubSpot account, through a free trial of HubSpot’s email tool, or you can use the raw HTML code in your current email service provider (ESP). Of course design is important, but not many marketing teams can hire a designer to beautify every single email that gets sent. That’s where pre-designed templates come in. If you’re interested in downloading the 35 free email templates mentioned above, you can access them right here. As 2013 rolls around, it’s important to think about the future of marketing, and the agility of your own company to quickly pick up and adapt to new features, functions, or best practices. One of the functions you might really want to keep an eye on is SEO. As mobile/tablet usage continues to grow, SEO continues to change. Search Engine Land puts it bluntly, “Smartphone-based queries and lookups are cannibalizing PC search to some degree.” They are suggesting that PC search volume may have reached its peak. Do you agree with this discussion? If this is the case, what will you do in 2013 to adapt to the new rules of SEO? If you’re interested in seeing more data related to PC search queries, you can read the full story here. 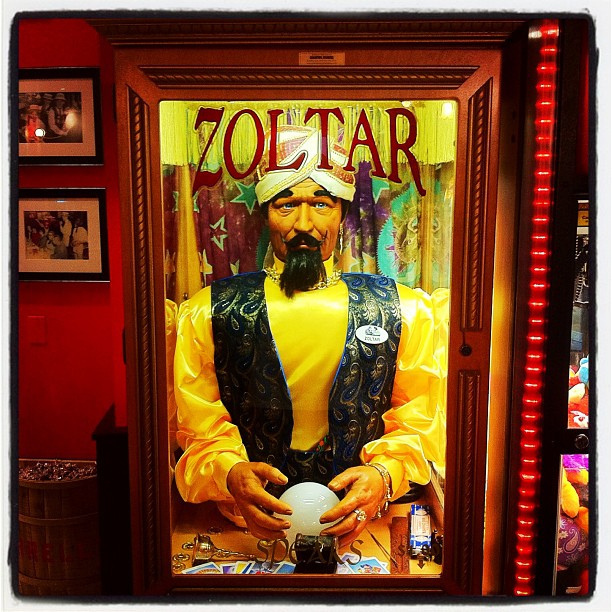 What do you expect to see from the world of marketing in 2013? Are there any marketing trends or predictions you’re keeping a close eye on once the new year rolls around? Share your thoughts in the comments below!